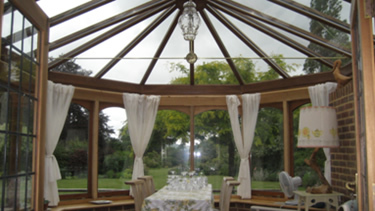 “The new roof with the cleaner panels lets in more light, while the glare has gone. I have a white floor and that used to reflect the sun, but that is less reflective now making the conservatory a more comfortable place to sit in”. 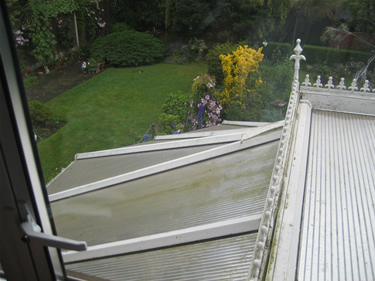 Before: the conservatory panels are deteriorated and dirty and in need of replacement. 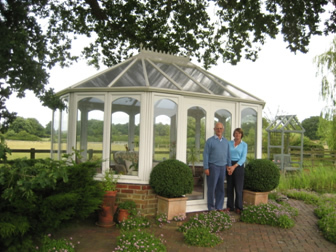 When Mr Thomas’s 15-year-old north-east facing conservatory developed problems with its roof, it could easily be traced back to original design faults with some panels even installed the wrong way around. 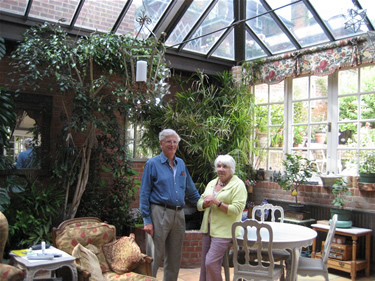 “It is a steel framed conservatory on a solid foundation,” said Mr Thomas. “So the thought of replacing it was out-of-the-question. 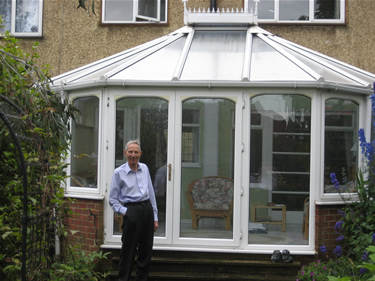 After: Mr Thomas outside his refurbished conservatory. On inspection HTG discovered that glazing bar covers and panels had also slipped helping to cause the leaks. 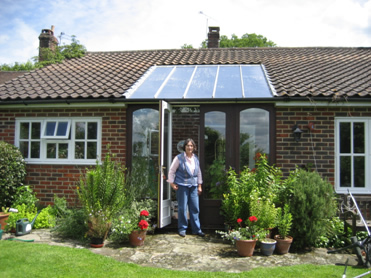 Installing a high performance InsuPolycarbonate roof, and repairing and remedying gutter leaks and lead flashing problems brought other benefits as well. “It’s my favourite room,” continued Mr Thomas. “My friends head straight for it when they come to see me. It has a good view down the garden. 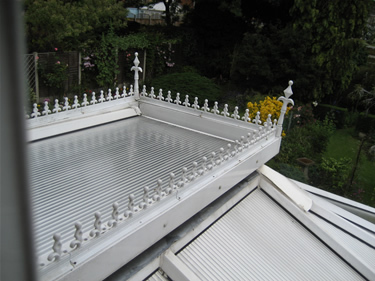 After: the new HTG polycarbonate panels certainly make a difference in this unusual roof design. 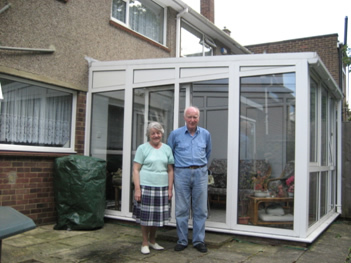 “And now that it is a much more comfortable temperature, I can get far more use out of it. “In the summer I used to have a fan on, but it wasn’t always adequate. Coming into the room when it had been closed up there was a very oppressive atmosphere; it doesn’t feel like an oven any more. “And in winter the improved insulation means I don’t have to put the central heating on so often. 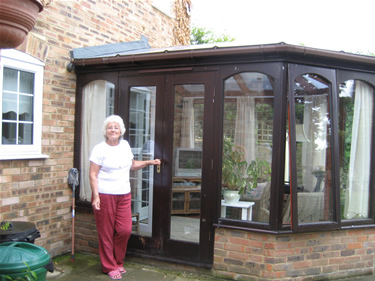 “The new roof with the cleaner panels lets in more light, while the glare has gone. I have a white floor and that used to reflect the sun, but that is less reflective now making the conservatory a more comfortable place to sit in. 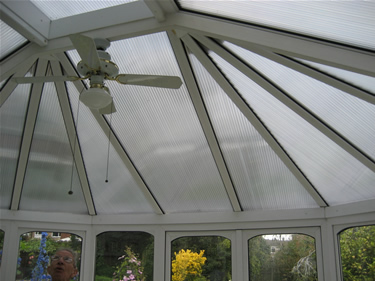 After: this internal shot illustrates the new HTG polycarbonate panels. 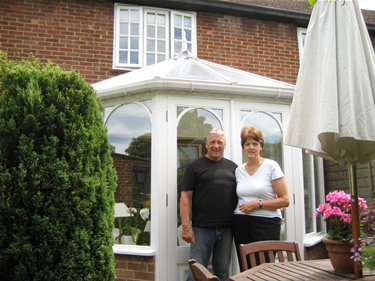 HTG FACT: Mr Thomas’s new HTG high performance roof has in his words ‘multi-layered insulation’. Which helps to conserve heat in winter while deflecting too much warmth in summer.